That is great ... altough I couldn´t figure one number out without your help! The ticketing system for the B.E.S.T. buses is simple, the set of numbers to the left are for the UP direction journey & the right for down. The numbers denote the stop number on the route, 1 being the stating point, and ascending. The conductor simply punches a hole over the number for the stop from which the commuter gets into the bus. 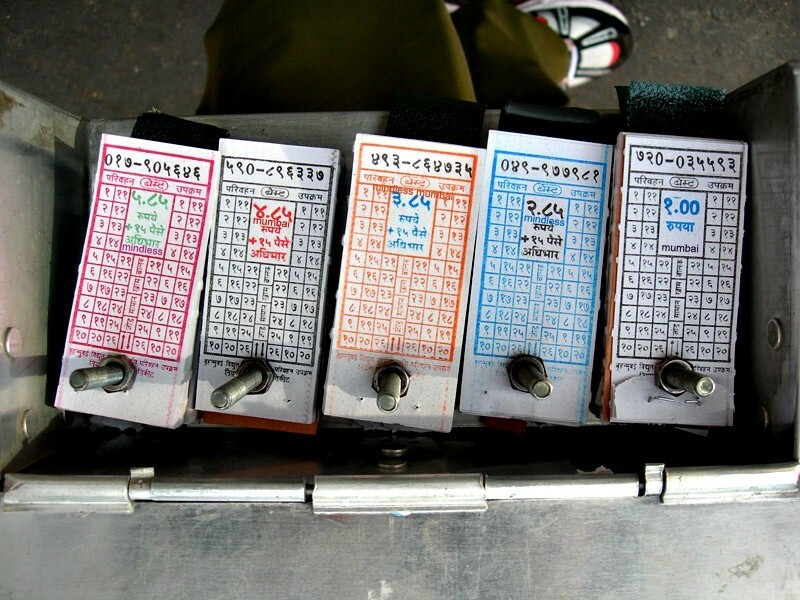 The value of the ticket tells the stop for alighting, as the amount is as per the distance traveled, so the same amount will be for the next 3 stops. chal take care... good stuff!